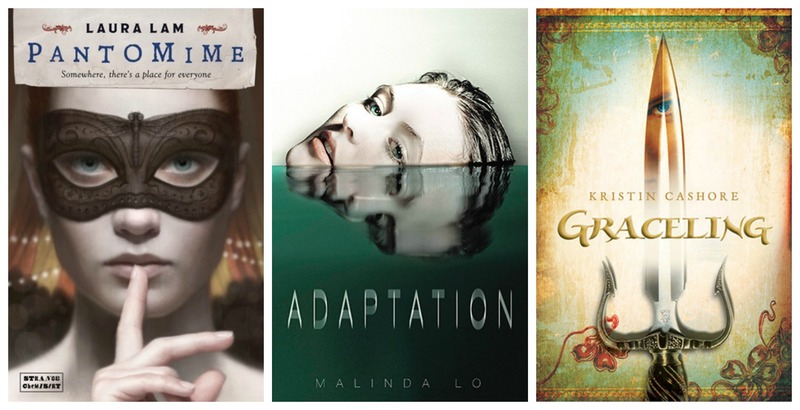 These queer YA fantasies will transport you to realms you never imagined. Sometimes I read YA fiction. Because it can be amazing. And who, exactly, decides which books are just for children anyway? I’ve never been one to read within the lines. When I was six or seven, my father read me A Confederacy of Dunces — a book very definitely not written for children — and I loved it. And now at thirty, with no children of my own, I still enjoy reading a really good children’s picture book. The secret is this: any story can transport you, if it’s well-told. There aren’t any boundaries in fiction. You can be transported anywhere and into anyone when you read. That’s the magic. It’s why I studied writing in college, and why I will always believe that storytelling is an indispensable tenet of human civilization. But the ways in which fiction builds human capacity for empathy is a topic for another time. Right now, I just want to talk about YA fantasy novels. There are some really good ones out there right now with queer protagonists, and if you haven’t read them yet, I really think you should. Teaser: Micah Grey has a problem. Raised as a noble girl named Iphigenia, Micah’s not sure where to fit in — but it won’t be in the corsets and debutante balls that mark life for the noble set in the kingdom of Ellada. Micah’s always been different from the other noble girls, and when family formulates a plan to excise those differences, the former Iphigenia must flee, channeling a love of climbing into a high-flying circus act and hiding in plain sight. As long as the family is seeking out their daughter, Micah will never be safe — but when disaster strikes, Micah realizes that within the differences the family never understood…lies true magic. Queer Cred: Micah is intersex, and while needs dictate that they pose as one gender or another at various times, privately, Micah doesn’t really feel the need to choose. Micah’s fluid gender is portrayed simply and respectfully. Also magically: Ellada is a kingdom filled with old, old mysteries, some of which intersect at the core of Micah’s differences. There are also lovely, gentle, rather PG romances within the series — Micah falls for a young woman, then a young man, as each book unfolds. Teaser: Reese is a little nervous. After all, she’s about to travel cross-country with only her debate team teacher and her crush, David — what teenager wouldn’t be nervous about that? But she has no idea what’s really in store for her. Their car flips, and a month later, she and David wake up in a military hospital. Their teacher is dead. It’s up to the two of them to start to piece together what has happened. They go back home to San Francisco, feeling…different. If they could only find out how. Teaser: Into all the seven kingdoms, they are born: the gracelings. Children marked by their strangely colored eyes; children with inhuman abilities. Ostracized at home, their parents hand them over to their kings, who find uses for their special talents. Some graces are more useful than others; a child with a dancing or painting grace may entertain or enlighten the court, while a child with a killing grace…well, Katsa knows about that one all too well. She has been employed as her King’s thug and assassin since she was eight years old. But when she starts to realize her own agency, and the power of her choices, a daring rescue thrusts her into a plot that could change the face of all seven kingdoms. Queer Cred: Okay, so Katsa isn’t gay. But she does know what it feels like to grow up an oddity, shunned, marked at every moment by her difference. As a result she becomes a fiercely independent spirit, one hell of a fighter, a warrior who finds her heart and will not give it away, even to the love of her life. When she first falls in love, she is completely stricken: she knows she will never marry, because she could not give up her independence, and so she has no idea how to proceed. Finally, she finds a way to be free and also to love — to the extent that any of us can. The love story is sweet and right and a little bit steamy, but it is not the central core of the book; there is lots of trouble brewing across the kingdoms, and Katsa, with her gifts, has a unique ability to help the people she cares for.